The rock art of the Kimberley is renowned for the insights it offers into Aboriginal social systems through thousands of years. Different phases of art often depict people and their environments in great detail with stunning aesthetics of composition, personal ornaments and group dynamism providing windows into the past that few other forms of archaeology can. What may be less well known is the cultural basis and significance of the art to Aboriginal people, both past and present. Peter Veth will give a general introduction to Kimberley rock art, its likely age and distribution. He will focus on the world’s longest continuous art and cultural tradition known as Wanjina. This widespread art schema dates to as early as 4,000 years ago with the tradition continuing right up to the present. Some elements of the Gwion Gwion (Bradshaw) art will also be profiled. 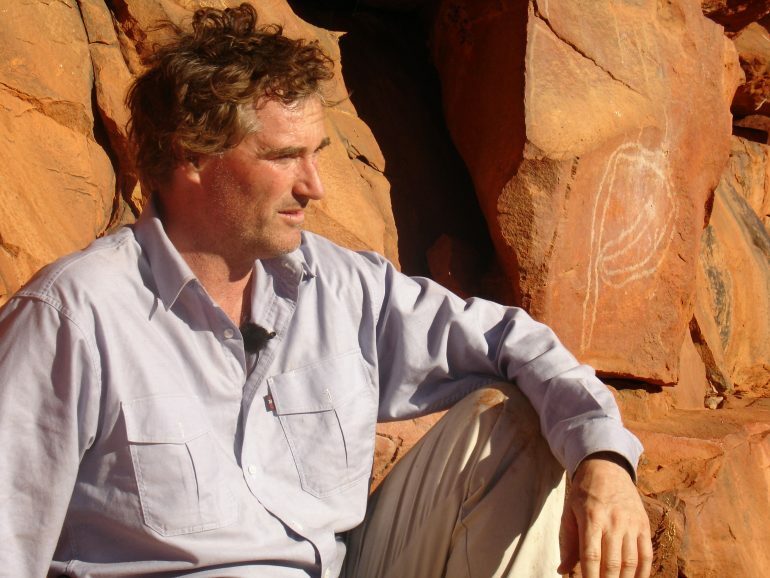 Peter Veth, Professor of Archaeology, Kimberley Foundation Ian Potter Chair in Rock Art at the University of Western Australia is a world expert in Indigenous archaeology. Peter is a Fellow of the Australian Academy of the Humanities and in 2014 was awarded the Rhys Jones Medal for outstanding contributions to Australian archaeology. Peter has undertaken archaeological research throughout most of Australia – much of it over the last 15 years focusing on collaborative projects placing rock art in archaeological context. Peter is the co-editor with Professor Jo McDonald of a Companion to Global Rock Art published by Wiley-Blackwell.